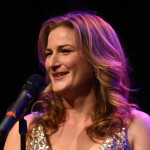 When Ana Gasteyer steps up to the mic, she evokes the swagger of an era when a lady ruled a nightclub and an audience knew they were in for a good time. Her performance is a perfect blend of the tongue-in -cheek comedy you can expect from a former Saturday Night Live cast member combined with the vocal range of a seasoned Broadway star. Gasteyer’s eclectic range of covers and reimagined classics like “One Mint Julep” and “I Wish Could Shimmy Like My Sister Kate” to her surprisingly smooth rendition of Carrie Underwood’s “Before He Cheats”, are the perfect showcase of her musical chops and comedic genius. Gasteyer tells stories with humor, heartbreak…and just a little splash of soda. The patter is real, the themes adult, the lyrics are timeless, and the music swings like crazy! Enjoy more great clips and web extras from the show!